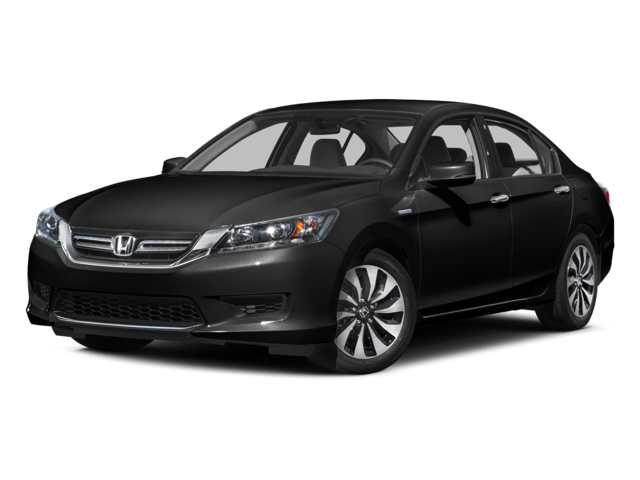 When New York drivers are shopping for a new mid-size sedan, they come to Capital Region Honda Dealers; the standard Accord would be enough to pull in quite a few car buyers, but when you add in the 2015 Honda Accord Hybrid, we’re amazed there are even other vehicles in the mid-size sedan class. 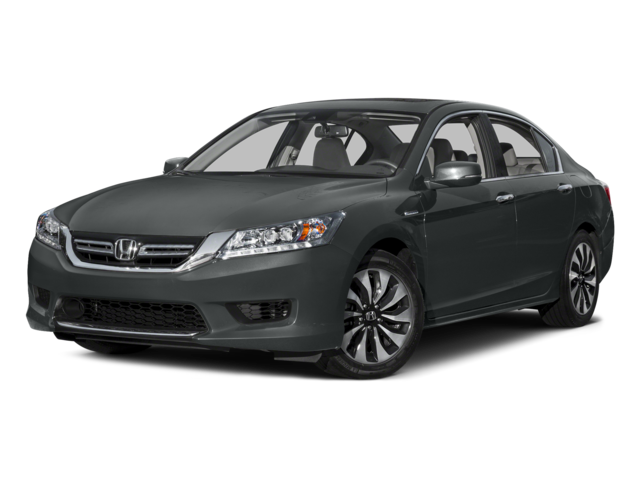 Honda’s hybrid Accord comes in three different trim levels, and even the entry-level model features some of the latest in high-tech gadgets and safety features like Honda LaneWatch, a rearview camera with guidelines, Bluetooth HandsFreeLink, and Honda’s i-MID infotainment system. 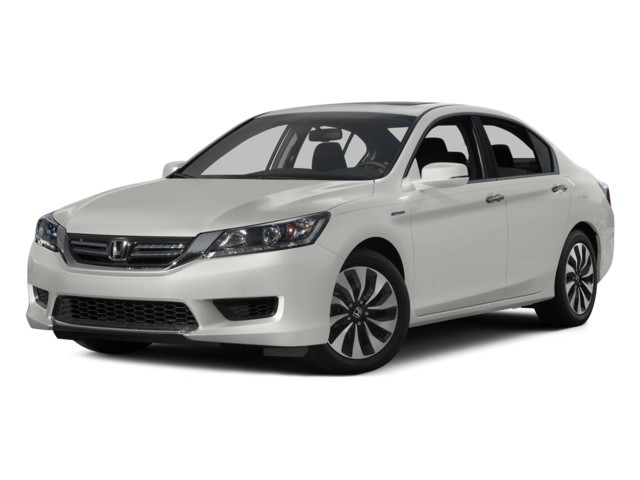 We saved the best for last: the 2015 Honda Accord Hybrid is rated at an EPA-estimated 50 mpg in the city and 45 mpg on the highway, making it one of the most fuel-efficient sedans in the Albany area. 1 The Honda Satellite-Linked Navigation SystemTM is available on non-hybrid EX-L and standard on all Touring models in the United States, Canada and Puerto Rico. (FM Traffic service only available in the United States, except Alaska.) Please see your Honda dealer for details. 2 Compatible smartphone required. All Aha platform feeds are audible, not visual in nature. Vehicle does not provide any feeds. Some state laws prohibit the operation of handheld electronic devices while operating a vehicle. Launch smartphone applications only when the vehicle is safely parked. Aha, the Aha logo, and the Aha trade dress are trademarks or registered trademarks of Harman International Industries, Inc. Your wireless carrier’s rates may apply. 3 The Bluetooth® word mark and logos are owned by the Bluetooth SIG, Inc., and any use of such marks by Honda Motor Co., Ltd., is under license. 4 Always visually confirm that it is safe to drive before backing up; the rearview camera display does not provide complete information about all conditions and objects at the rear of your vehicle. 5 Pandora, the Pandora logo, and the Pandora trade dress are trademarks or registered trademarks of Pandora Media, Inc. Used with permission. Compatible with select smartphones. See: www.pandora.com/everywhere/mobile. Not all devices compatible with USB connection. Your wireless carrier’s rate plans apply. 6 The USB Audio Interface is used for direct connection to and control of some current digital audio players and other USB devices that contain MP3, WMA or AAC music files. Some USB devices with security software and digital rights-protected files may not work. Please see your Honda dealer for details. 7 Government 5-Star Safety Ratings are part of the National Highway Traffic Safety Administration’s (NHTSA’s) New Car Assessment Program. Model tested with standard side airbags (SABs). For additional information on the 5-Star Safety Ratings program, please visit www.safercar.gov. 8 Display accuracy will vary based on weather, size of object and speed, and the display may not show all relevant traffic. The display is not a substitute for your own direct visual assessment of traffic conditions before changing lanes. 9 Lane Departure Warning (LDW) only alerts drivers when lane drift is detected without a turn signal in use. LDW may not detect all lane markings or lane departures; accuracy will vary based on weather, speed and road condition. System operation affected by extreme interior heat. Driver remains responsible for safely operating vehicle and avoiding collisions. 10 Forward Collision Warning (FCW) cannot detect all objects ahead and may not detect a given object; accuracy will vary based on weather, speed and other factors. System operation affected by extreme interior heat. FCW does not include a braking function. Driver remains responsible for safely operating vehicle and avoiding collisions. 11 Adaptive Cruise Control (ACC) cannot detect all objects ahead and may not detect a given object; accuracy will vary based on weather, speed and other factors. ACC should not be used in heavy traffic, poor weather or on winding roads. The driver remains responsible to slow or stop the vehicle to avoid a collision. 12 185 hp @ 6400 rpm (SAE net). 13 Compatible with select phones with Bluetooth.® Your wireless carrier’s rate plans apply. State or local laws may limit use of texting feature. Only use texting feature when conditions allow you to do so safely. 14 189 hp @ 6400 rpm (SAE net). 15 HomeLink and the HomeLink house are registered trademarks of Johnson Controls.® 16 SiriusXM services require a subscription after any trial period. If you decide to continue your SiriusXM service at the end of your trial subscription, the plan you choose will automatically renew and bill at then-current rates until you call SiriusXM at 1-866-635-2349 to cancel. See our Customer Agreement for complete terms at www.siriusxm.com. Fees and programming subject to change. XM satellite service is available only to those at least 18 years and older in the 48 contiguous United States and D.C. ©2015 SiriusXM Radio Inc. Sirius, XM and all related marks and logos are trademarks of SiriusXM Radio Inc. 17 278 hp @ 6200 rpm (SAE net). 18 3-Year/36,000-Mile Limited Warranty. 5-Year/60,000-Mile Limited Powertrain Warranty. Ordinary maintenance or adjustments, parts subject to normal wear and replacement, and certain items are excluded. Please see your Honda dealer for the terms and conditions of the limited warranties. 19 The battery-pack limited warranty may vary. Please see your Honda dealer for details. 20 NHL and the NHL Shield are registered trademarks of the National Hockey League. © NHL 2015. All Rights Reserved. 21 The Twitter bird logo and the V logo are trademarks of Twitter, Inc., or its affiliates. Always use seat belts and appropriate child seats. Children 12 and under are safest when properly restrained in the rear seat. Specifications, features, illustrations and equipment shown in this brochure are based upon latest available information at the time of printing. Although descriptions are believed to be correct, accuracy cannot be guaranteed. American Honda Motor Co., Inc., reserves the right to make changes at any time, without notice or obligation, in colors, specifications, accessories, materials and models. Some features mentioned herein are not available in all areas. Please see your Honda dealer for details. Some vehicles may be shown with optional equipment. Available = Optional. All images contained herein are either owned by American Honda Motor Co., Inc., or used under a valid license. It is a violation of federal law to reproduce these images without express written permission from American Honda Motor Co., Inc., or the individual copyright owner of such images. Honda Financial Services is a DBA of American Honda Finance Corporation. Honda, the H-mark symbol, Honda Care, Honda LaneWatch, HondaLink, Honda Satellite-Linked Navigation System, Advanced Compatibility Engineering, ACE, Earth Dreams Technology, Eco Assist, ECON logo, HandsFreeLink, i-VTEC, SmartVent, Variable Cylinder Management, VCM, Vehicle Stability Assist and VSA are trademarks of Honda Motor Co., Ltd. © 2015 American Honda Motor Co., Inc.